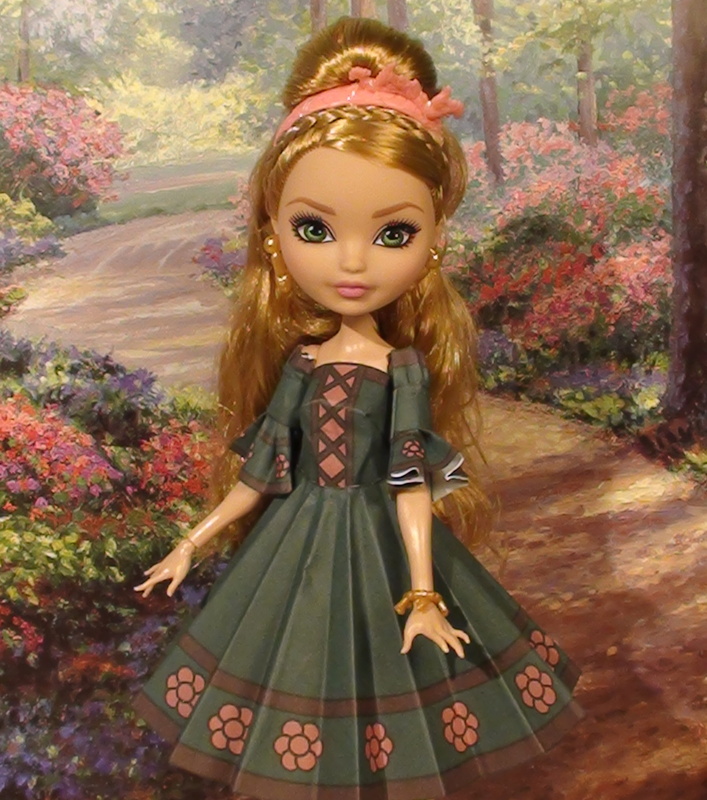 Cedar Wood is wearing a top, circle skirt, small circle over skirt, and wrap around collar. Skipper is wearing a top, circle skirt, and shoulder straps. Chelsea is wearing shoulder straps, a belt, and a small circle skirt. Barbie is wearing a top, circle skirt, and a wrap around collar. Chelsea’s friend is wearing shoulder straps, a belt, and a small circle skirt. Stacie is wearing a top, circle skirt,and sleeves. Summer is wearing a top, flared skirt with belt,and sleeves. Stacie is wearing a top, circle skirt, and shoulder straps. Ashlynn Ella is wearing a top, circle skirt, and middle puff sleeves. 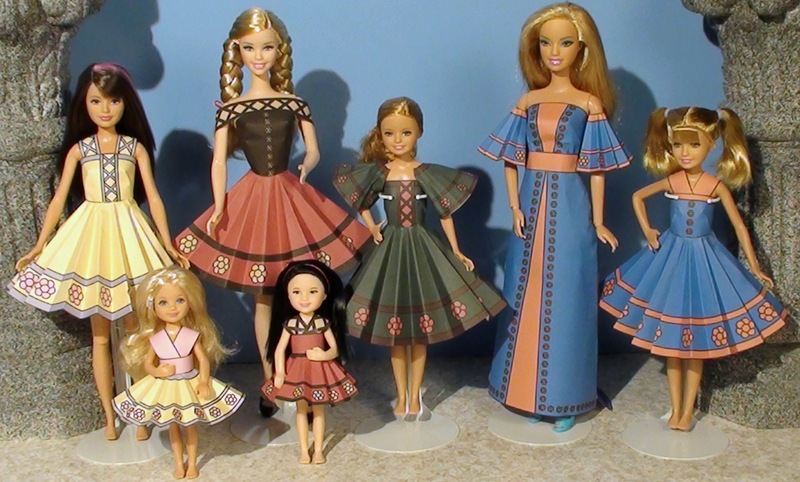 This post shows how to make the Ellowyne Wilde dress and the dress for her doll.